Disclaimer! I normally would edit an existing blog if I do one of the ‘remasters’ of my reviews but I find it fun looking back on those so from now on I’m going to just make a new written blog. Disclaimer over! 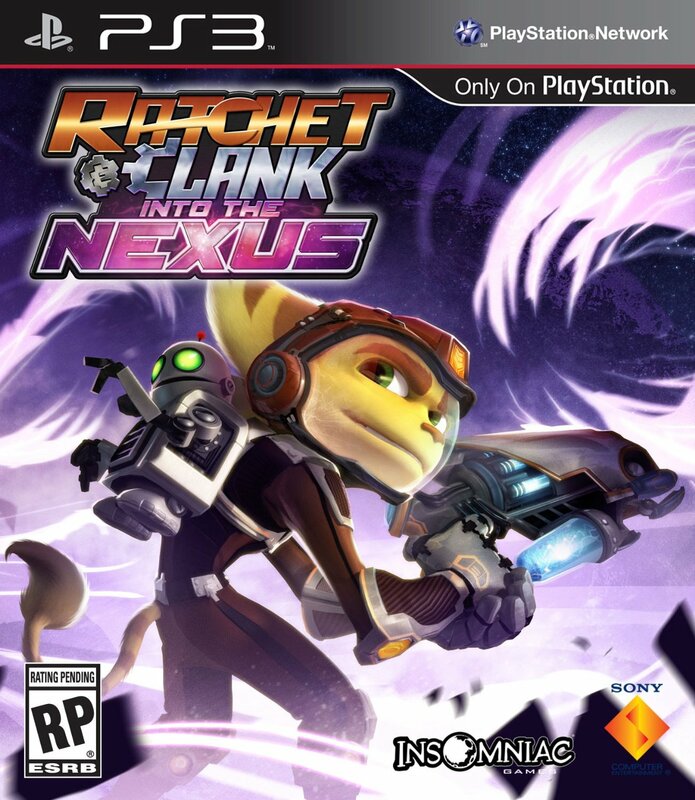 Ratchet & Clank: Nexus is a 2013 platform game developed by Insomniac Games and published by Sony Computer Entertainment for the PlayStation 3. It is the fourth and final installment in the “Future” series. 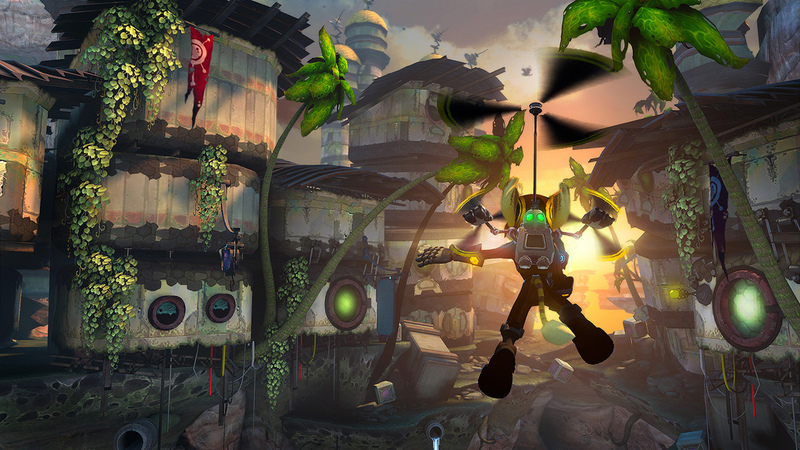 The series is noted for the inclusion of exotic and unique locations and over the top gadgets, a concept of the traditional Ratchet & Clank experience that returns in this game. The main goal is for the Nether to reach the other side of the rift through the protagonist Ratchet’s dimension. Gravity is a vital entity in this game, as it is used to travel to hard to reach places. Clank also participates in 2D sections referred to The Netherverses which are mind bending puzzles, where Clank must navigate a treacherous maze while a Nether follows him. One of the new gadgets is a jet pack using this ratchet in certain areas may go on jetpack joyrides. Characters such as Zephyr, Cronk and Talwyn returned, not forgetting the super-sized hero Captain Qwark. The army of enemies called Thugs-4-Less returns. The Arenas return from previous games. Most of the combat is a point and shoot affair and the guns can be used fairly interchangeably. Raritanium is used to upgrade weapons. You can also make ratchet into your own personal ken doll of death with plenty of different armours to try out. The game has three difficulties : Cadet, Hero and Legend. 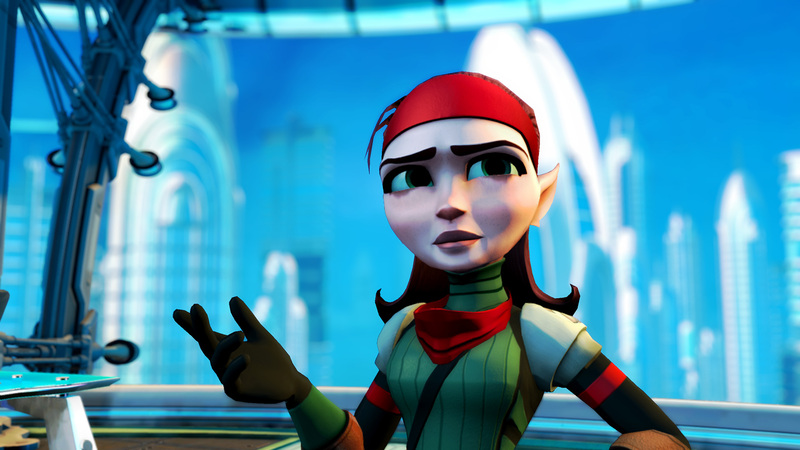 Now the plot goes a little something like this; Ratchet and Clank, on board a Prison Ship, are tasked by Talwyn to deliver notorious criminal Vendra Prog to the to a prison. The duo Cronk and Zephyr wake up, who then deactivate Vendra’s cryosleep chamber so they can deliver her; however, the chamber malfunctions and Vendra awakens, using her psychic powers to distort the Nebulox’s gravity. Ratchet manages to overcome the broken gravity and repairs the proton field around Vendra’s cell, before activating a backup generator. Vendra’s twin brother Neftin, aided by Thugs-4-Less, then suddenly attacks and frees Vendra; Ratchet and Clank pursue the Progs to the Nebulox bridge, only to be immobilised by Vendra. Vendra activates a number of explosives placed throughout the Nebulox and escapes with Neftin, while Ratchet and Clank are sucked into space through the fractured bridge window, unable to save Cronk and Zephyr. Escaping through the debris field, Ratchet and Clank latch on to an enemy ship which is proceeding to planet Yerek in the Zarkov Sector. Upon landing on Yerek, Ratchet feels disheartened because of what happened to Cronk and Zephyr. He tells Talwyn, who urges the duo to return home because they are all she has left now. Seeking revenge instead, the duo venture into the forests of Yerek. During their explorations, they meet the Terachnoid Pollyx, who upgrades Clank with a Rift Cracker to allow him to travel into another universe known as ‘the Netherverse’. The duo reach the Meero Orphanage, the former home of the Prog twins, and discover that the Progs have built their own Dimensionator which can open portals. I wouldn’t want to spoil anymore about the plot so I’ll stop there. The game has a creepy tone to it which is a nice break from ratchet and clank tradition however all that comes apart at the final level meridian city. It’s shiny halls and wacky souvenir shops don’t really gel with the dark and gloomy orphanages from earlier in the game. 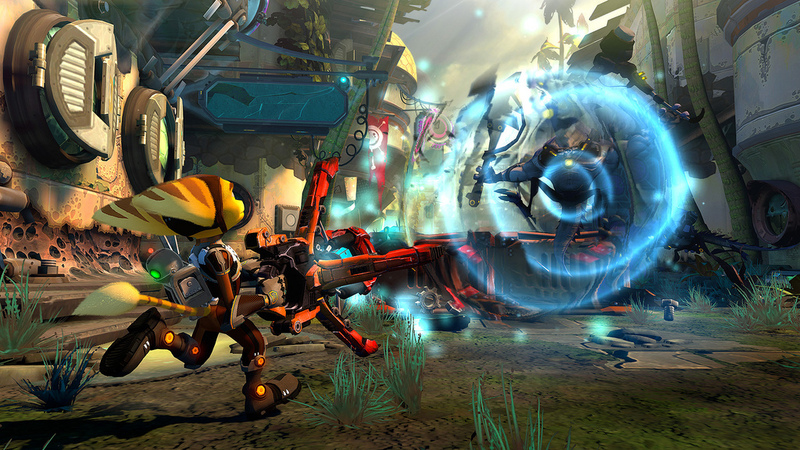 Ratchet & clank: nexus is a streamlined but throughly enjoyable adventure. 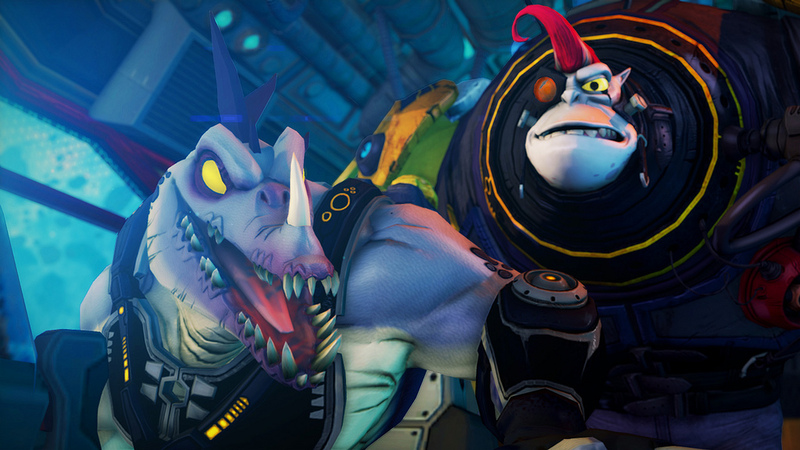 Ratchet & clank: nexus gets 3 and a half stars out of five.